Startech 18 Inch SATA Cable - Boom I.T. Featuring a low profile, yet durable construction, the flexible design improves airflow and reduces clutter in your computer case, helping to keep the case clean and cool. Constructed of only top quality materials and designed for optimum performance and reliability. THIN-CABLE DESIGN The SATA18 Serial ATA Cable features a thin-cable design, which helps reduce clutter and increase airflow within the computer/server case, for optimum system performance. 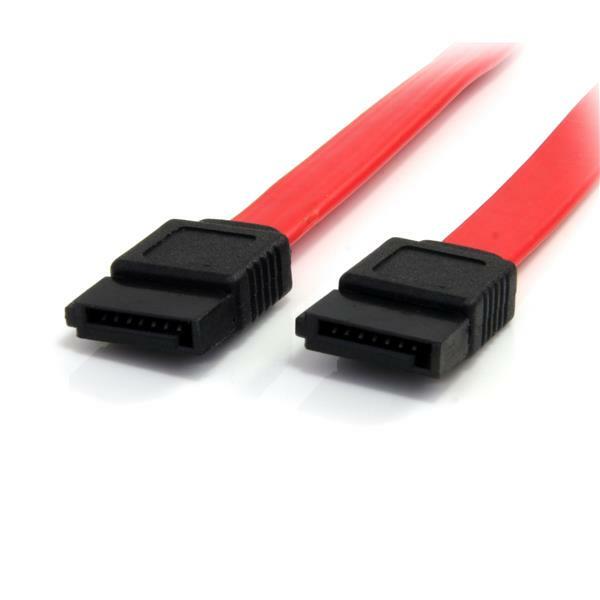 EXCELLENT CONSTRUCTION The SATA18 Serial ATA Cable is made of top-quality materials, which ensures great performance and reliability.